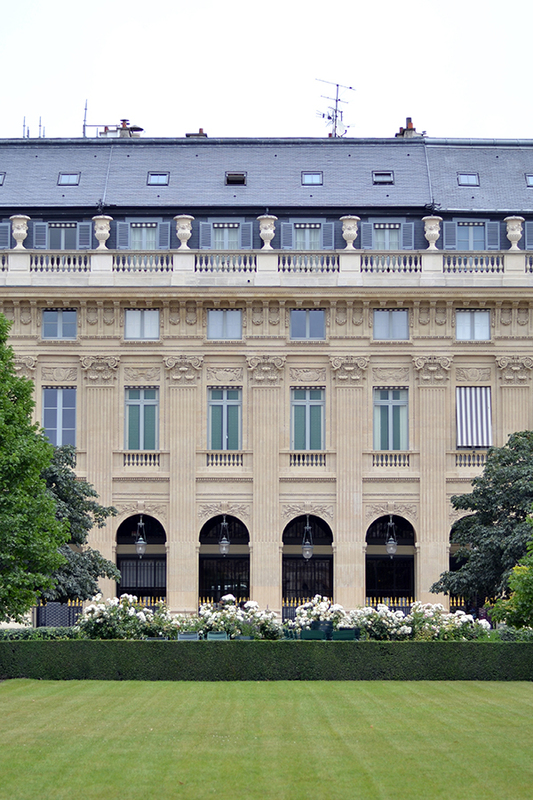 While I love Parisian architecture -- the way the colorful doors pop against a sea of grey and beige stone structures -- I also love the green spaces of the city. There are so many wonderful gardens and parks throughout the city that are perfect for relaxing, strolling, or picnicking. 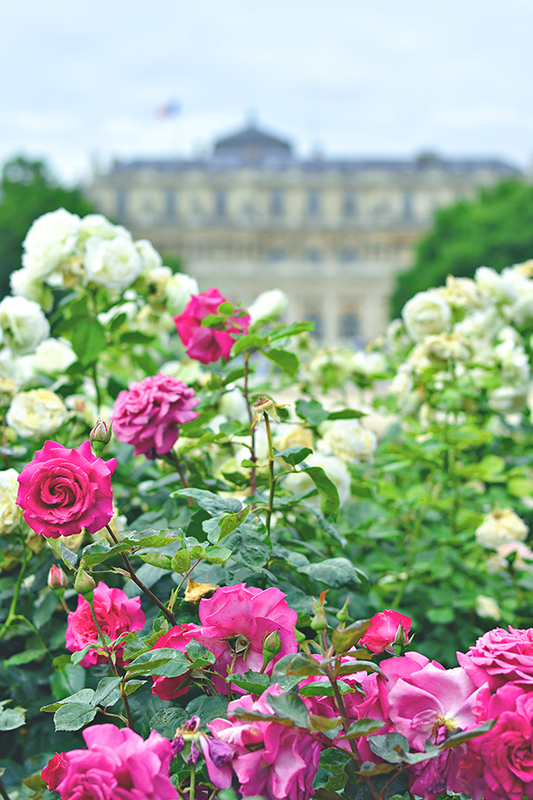 Two of my favorites are the garden of the Palais Royale and the Luxembourg Gardens. 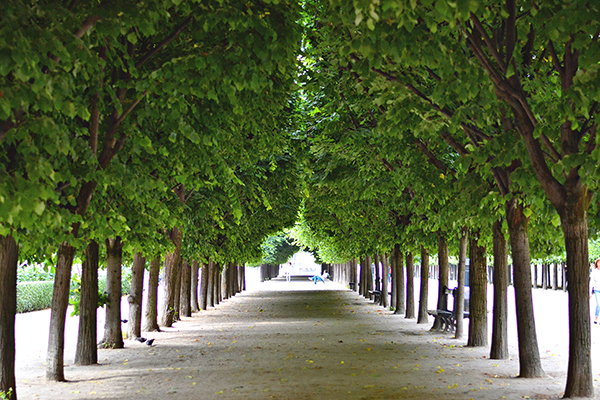 The garden of the Palais Royale is wonderful because it sits within an enclosed courtyard, protecting it from wind and tourists. It's location, just north of the Louvre, makes it the perfect spot to escape the crowds and chaos of the city's most congested areas. 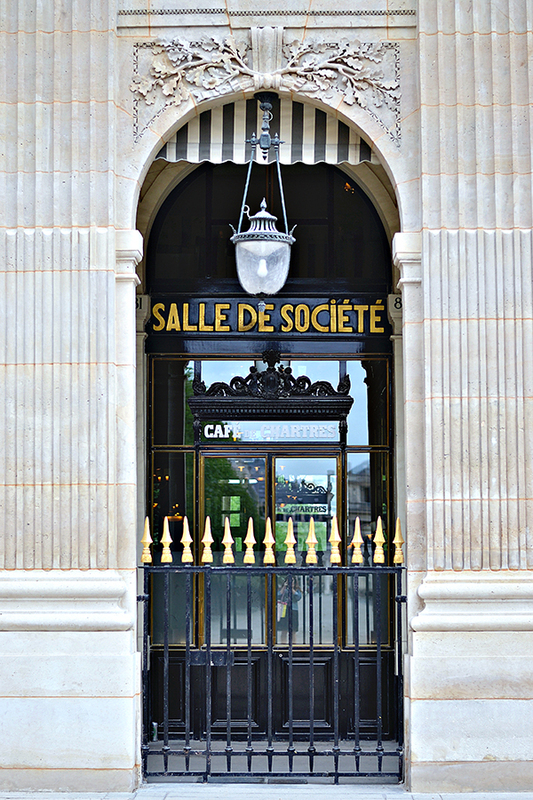 Within the colonnade that surrounds the gorgeously manicured green lawns, rose bushes, and very-Parisian tree rows are several interesting vintage shops, restaurants, and cafes. My favorite is the hip Café Kitsuné. 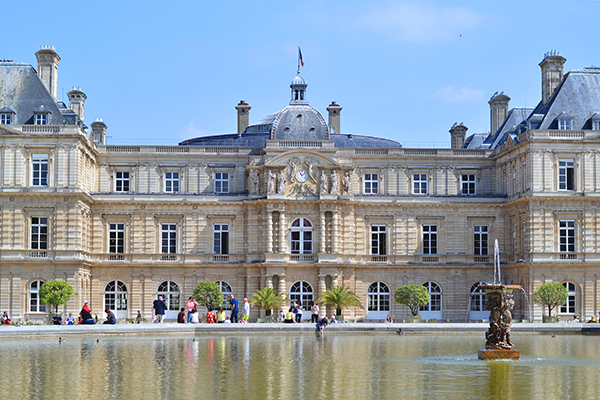 Another green gem within the city is the Luxembourg Gardens. 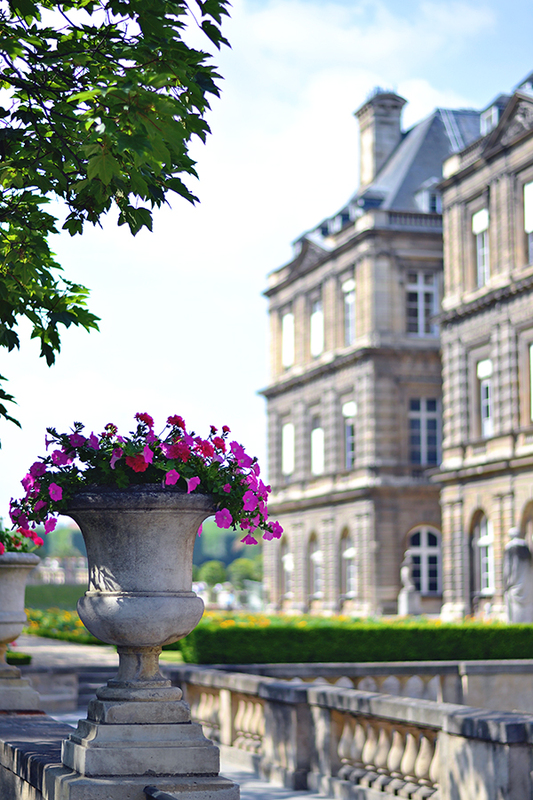 Larger than the garden of the Palais Royal, the Luxembourg Gardens offer fountains, orchards, blooming flowers, and even an aviary. The gardens and adjoining palace were originally designed for Maria de' Medici (the Queen of France), who longed for the gardens and palace of the Palazzo Pitti in Florence where she grew up. Needless to say, I felt right at home. 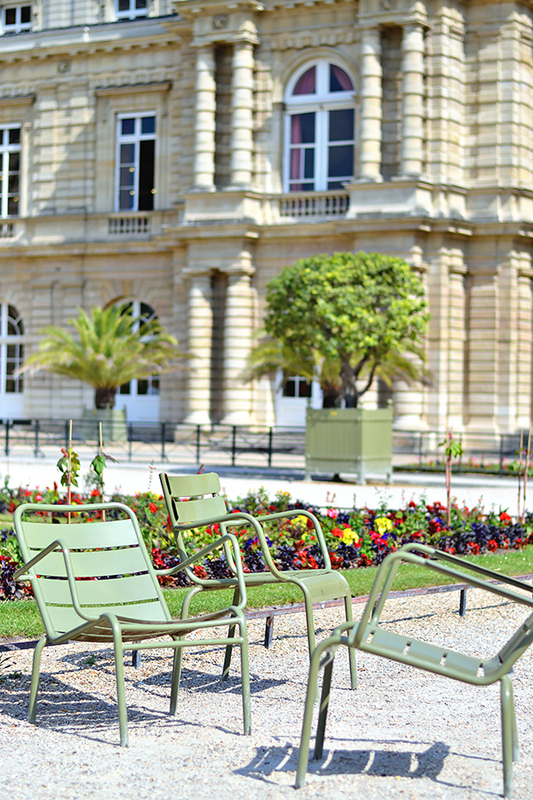 Today the gardens, complete with the iconic 1920s sage-green metal chairs found in most of Paris's parks, are perfect for relaxing and soaking up the sun in the summer. My advice when traveling to Paris? Make the most of these gorgeous green spaces. A picnic in the park is the perfect way to recharge after a long morning of fighting crowds and sightseeing (and is a great way to save money too!). 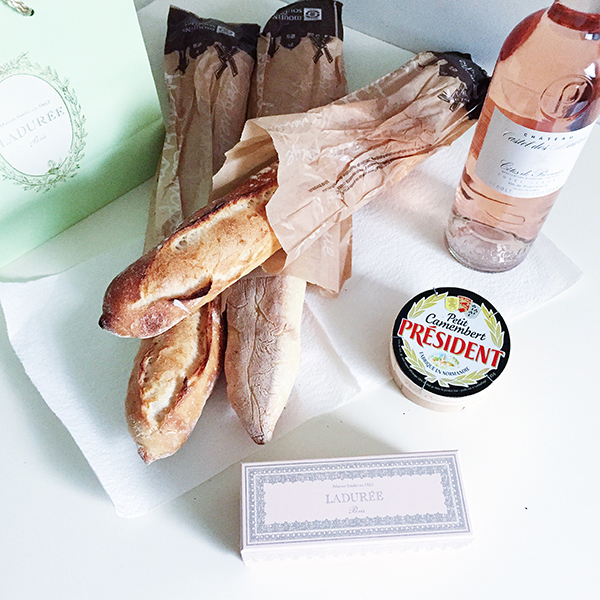 Just make sure your picnic includes all of the Parisian food groups -- Rosé, baguettes, macarons, and camembert. 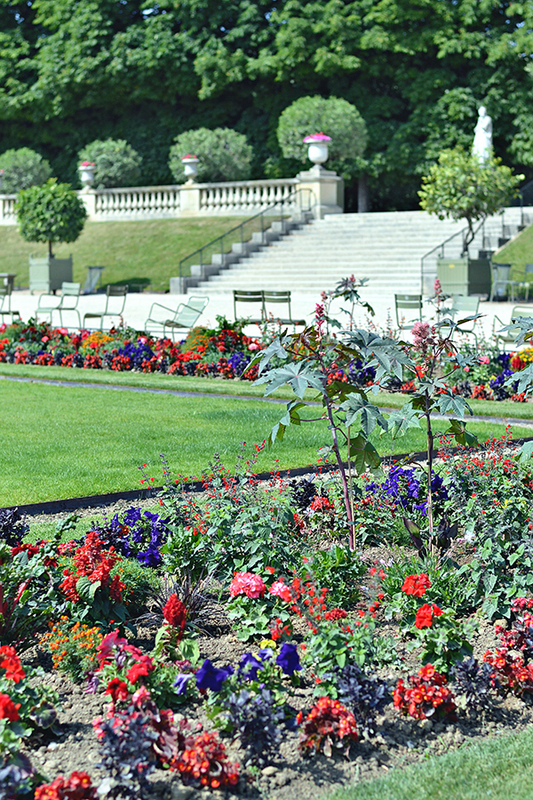 What is your favorite park or garden in Paris?